These Ladies Comfort Booties are similar to slippers, but styled with an ankle high boot for more warmth, comfort and support. 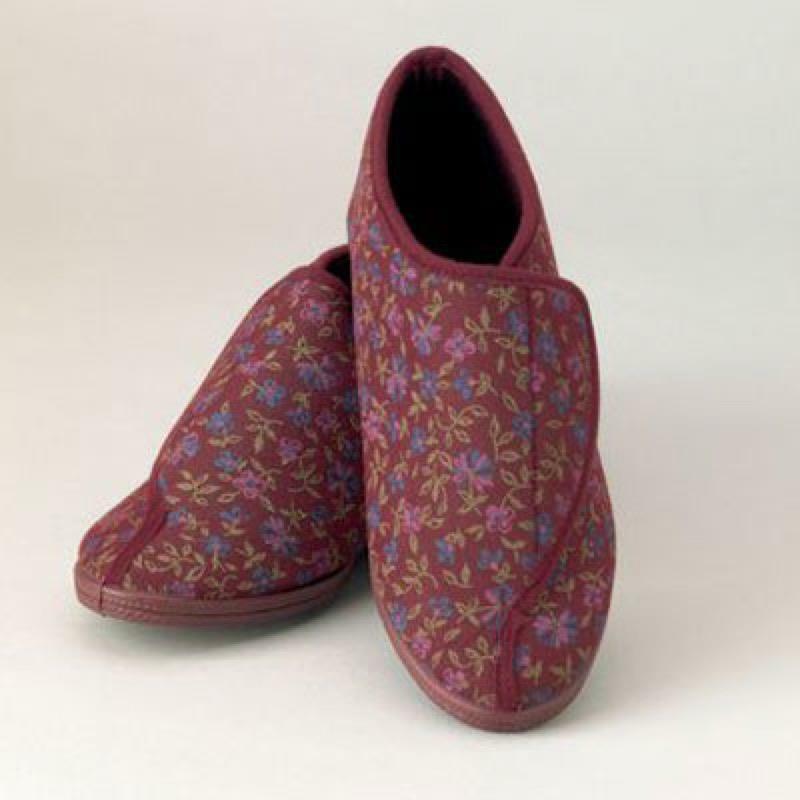 They can be worn all around the home, as they provide gentle support to the foot and ankle when moving around and the rubberised sole can help prevent slipping. A large opening enables then to be put on and taken off easily. Velro® fastening ensures a snug safe fit. 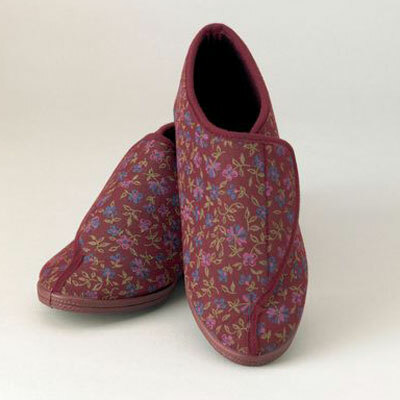 The slipper booties are available in soft red or blue floral patterned uppers in UK shoe sizes 4-8. They are also fully machine washable.